A page-turning debut in the tradition of Stephenie Meyer’s Twilight, amped up and on steroids with some X-Files mystery, some Hitchcock suspense and countless plot twists and cliffhangers that will keep you guessing. And you’ll still be wrong! One of Wattpad’s top read books in 2016, making it to Top 10 Charts in “Paranormal” and “Romance” Categories with over 300k reads! This book has supernatural beings, God’s, myths, young love, and teenage angst. 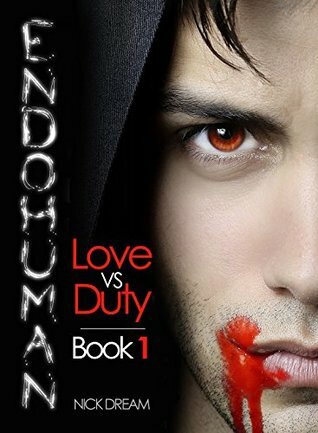 18 year old Adam is one of the last endohumans, a superhuman hybrid, a descendant of the ancient Romans and Greeks. He’s spent his life since he came into his powers when he was 10 being trained to protect mankind. There’s no room for love, it’s against the Ancient Rules. Adam falls for Evie but that’s a no no and when an ancient evil awakens Adam has to make a difficult choice. Lots of twists and turns and a cliffhanger. I enjoyed this book and can’t wait for book 2. Robin is a reluctant sorority girl. She’s a multi-generational legacy and her mother just doesn’t understand that she doesn’t belong in a sorority. Robin feels totally isolated, except for the brief glimpses when she gets into the true nature of her ‘big sister’, Ashley. Ashley is overly excited about everything, but seems to get what Robin is feeling and why she may be feeling that way. Despite growing closer, Robin doesn’t think she can trust Ashley. When asking questions about a boy who died while pledging a fraternity a couple years prior, it seemed to Robin like Ashley knew more than she was saying. Despite being distracted by this mystery Robin starts to notice that someone has been stalking her, even being in her room and moving her things around. She tries to get to the bottom of who it is and why, but then she meets Tyler. The next door neighbor who draws her in unexplainably. She is warned to stay away but feels compelled by him in ways she doesn’t fully understand. As the two get to know each other in an electrifying romance, Robin begins to unravel the mysteries surrounding her. NEXT DOOR INFATUATION is exclusively available for readers that subscribe to the author’s newsletter. Robin is pledging in hope to get in to the sorority that the woman of her family belongs to, if she doesn’t get in she will be the first woman not to get in since the school opened. Tyler lives next door from the sorority that Robin is pledging. His history with the sorority has Robin guessing about her feelings for him. Is he as bad as her “sisters” say, are is there more to it? And will she find out before it’s too late? I enjoyed this book. Even though it is a short read it pulled me in. It had mystery and action. I would recommend this to anyone looking for a short read for that boring lunch break. This is intended for readers 18 and over. This story was unique which was awesome. Had promise and mystery. Though it seemed like it was a spin-off of another series and at times it left you clueless with a few details the author mentioned. The story often switched point of views between Drake and Charlie without warning. A few of the sentences in the copy I received didn’t make sense, they either were missing a word or were in the wrong order. The time frame of her breakup seemed off as well when reading. I liked the story and would read the others. Book one is for an YA audience and up. As an independent reviewer for Romance Authors That Rock I am giving this book 3.5 Hearts. 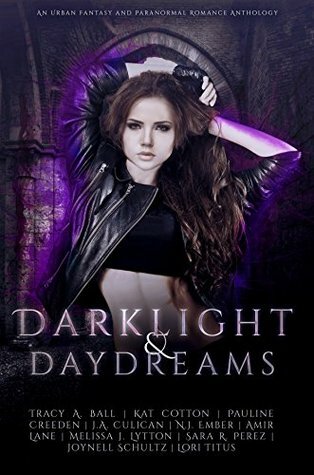 From rogue vampires to runaway witches, monsters in the woods to evil fae, this collection of 10 urban fantasy & paranormal romance short stories & novella’s has it all! Your favorite best-selling and award winning authors have teamed up to create this collection to benefit Puerto Rico. All proceeds are being donated to the Hispanic Federation. This set of stories is an anthology of paranormal romance and suspense. Of the ten short stories, only 3 of them seem like true short stories, with a beginning, middle and end. The other 7 stories are more like the first few chapters of a book, ending in cliffhangers. >The best story of the bunch is the very last one regarding a young girl who hears voices telling her when things will happen to people. The jury is out as to whether the voices are real or if they tell her to actually do things to create the future incidents, usually bad things. She is being interviewed in a Psych ward by a man with no tie to her at all. As the story continues, the creepy factor increases and a tie forms. This story is very scary and satisfying. >Using an anthology as a way to preview a novel is not the same thing as an anthology of short stories, though. Too many of these stories end abruptly or on a cliffhanger and do not make any sense. This book is appropriate for a young adult (16+) to adult audience. I am a reviewer for Romance Authors that rock. I am giving this anthology 3 stars. Somnus is a demigod with powers over the realm of sleep and dreams, being the child of the Earth Goddess and a vampire. Though his family and heritage is unusual, even in a realm of supernatural beings, the clan looks out after him and all of its members as he works with the other forces of good inside the gates of Heaven. Extraordinary as his situation is, Somnus’s luck is anything but special: if it were he might have found his mate without the crisis of a nightmare demon making other sleep deities disappear and spreading terror to all it can affect in its quest to break into physical reality. 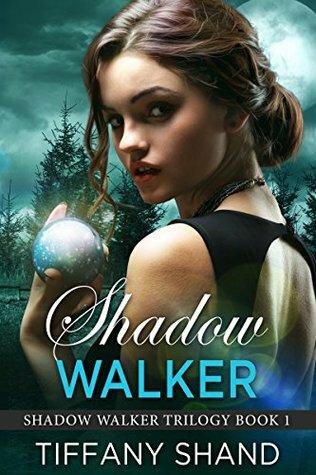 Of course, anyone to be mated to such a being has to be special in her own way, and Rachel isn’t about to let this handsome being just walk into her life with her guard down….nightmares or no nightmares. I’ll admit that when I first started this novel by Danielle James, I wasn’t sure how well I would adapt to such an unusual protagonist. 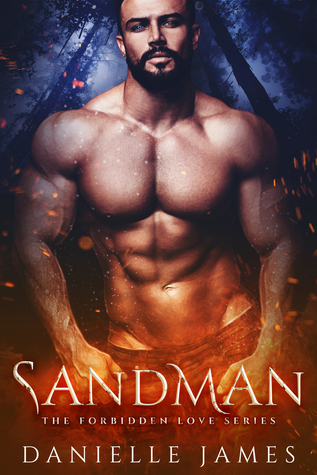 Supernatural romance has grown past simple vampires and werewolves, it’s true…but even so, I had my doubts. The writer’s skill got me through those doubts. While the different characters span the gamut of mythology, the dialogue and voices of these people are both grounded and full of cleverness. Somnus’s family is quite odd but charming, and Rachel provides a needed counterpoint to that eccentricity. As usual in my reviews in this genre, I do wish I didn’t feel like I was thrown into the deep end of the pool. I believe that the world and how it works could use some introduction and perhaps a bit of explanation. Society has obviously adapted to supernaturals being in the world, but how? Are other spells besides wards able to be found on the Internet? These are the things I find myself wondering. But I found the book to be a fun, short read and the dialogue especially is where this writing has its strength.